ONE DAY MEGA EVENT where you will get training on Sales & Marketing, Negotiating, Personal Development, Business, Money, Motivation, and so much more! Robbins is the chairman of a holding company comprised of more than a dozen privately held businesses with combined sales exceeding $5 billion a year. He has been honored by Accenture as one of the “Top 50 Business Intellectuals in the World”; by Harvard Business Press as one of the “Top 200 Business Gurus”; and by American Express as one of the “Top Six Business Leaders in the World” to coach its entrepreneurial clients. Fortune’s recent cover article named him the “CEO Whisperer,” and he was most recently named in the top 50 of Worth Magazine’s 100 most powerful people in global finance. As a philanthropist, Tony Robbins feeds 4 million people per year in 56 countries. He has also initiated programs in more than 1,500 schools, 700 prisons, and 50,000 service organizations and shelters. He provides fresh water to 100,000 people a day in India in order to fight the number one killer of children in that country – waterborne diseases. Last year he raised the stakes: In order to honor those who helped his family during tough times, he personally provided 59 million meals to people in the USA, and matched funds to feed 100 million in 2015 alone through his partnership with Feeding America. Rachel has a unique ability to empower and embolden the audience. Motivational, inspirational, and always approachable, Rachel’s tell-it-like-it-is attitude is a refreshing approach that allows her to authentically connect with audiences everywhere. Her company, The Hollis Company exists to arm people with the tools to make positive and lasting change. They do this by creating media, products, inspiration and community that challenges their audience to reach for a better version of themselves every day. They believe that everyone can benefit from a personal growth mindset– most especially people who’ve never encountered it before. Gary John Bishop began his life journey in Glasgow, Scotland. The grit and wit of his early life have contributed to his tough-love, in-your-face approach to coaching. Coupled with world-class training and development, Gary has created a potent brew of effectiveness and the ability to reach through the crust of people’s lives and root out the deeper issues that consume them and tie them to their hurdles. His ability to elevate and expand people’s greatness makes the kind of life-altering impact that is so rare in the industry. Gary’s hyper-awareness and years of elite training allow him to assess each client and guide them to the path that best expresses their lives; with micro precision, he cuts straight to the heart of what is going to make a difference. Gary’s experience and quick ascent to becoming a senior program director for one of the world’s leading personal development organizations is proof that he is dedicated and committed to what is possible for every client and person he encounters. He doesn’t claim perfection. He’s been through life and doesn’t sugar coat his folly. He uses his experience as both a human and a world-class coach to mentor and coach people to raise the bar higher for what they once thought would be their greatest self. Gary John Bishop is one of the leading Personal Development experts in the industry with a global reputation that has impacted tens of thousands of people worldwide. 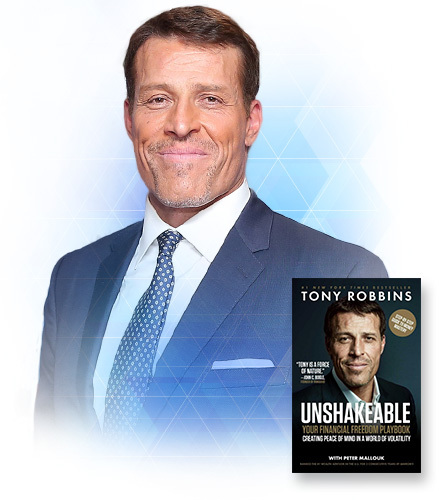 His “urban philosophy” approach represents a new wave of personal empowerment and life mastery that has caused miraculous results for people in the quality and performance of their lives. He calls it like it is while being influenced by ontology, phenomenology and the philosophy of some of the world’s greatest thinkers. You be inspired, unburdened and grounded. Working with Gary creates the space to be an altered version of you. The greatness you once imagined becomes a reality, only its bigger, better and more incredibly freeing than you dreamed it could be. His work life changing. Gary is willing to say what needs to be said. His writing is a higher-level experience and the benefits of his philosophies have touched lives worldwide. She is a well-recognized TV personality on PBS with seven one-woman television specials airing on 80 PBS stations across the country. She has been nominated for local and prime time Emmy Awards, and has appeared on CNN, ABC, NBC and FOX affiliates. Sarah Knight‘s first book, The Life-Changing Magic of Not Giving a F*ck, has been published in thirty languages and counting, and her TEDx talk, “The Magic of Not Giving a F*ck,” has more than five million views. The second book in the No F*cks Given guides series, Get Your Sh*t Together, is a New York Times bestseller. Her third, You Do You, will be published in November 2017. Her writing has also appeared in Glamour, Harper’s Bazaar, Marie Claire, Red, Refinery29, and elsewhere. John Gray lives in Northern California with his wife, Bonnie. They have been happily married for over 30 years and have three grown daughters and four grandchildren. Phil Town, Two-Time #1 NY Times Best Selling Author and regular contributor on CNBC, FOX, MSNBC, is the classic Everyman, albeit one whose education and resources were more limited than most. An average high school student, he completed college on his fourth try. Of his early working years, he says he “mostly got dirty for a living”, taking on jobs such as digging ditches and pumping gas. Phil Town spent three and a half years in the Army, returned from the Vietnam War and found a job in the States as a river guide. Drifting through California, Utah, and Idaho, he subsisted at poverty level, combining his wages from the guiding season and unemployment. He wore black leathers, sported a goatee, lived in a teepee in the woods near Flagstaff, Arizona, and “drove around in a really loud black Harley Davidson”. In the early ’80s, Phil Town’s life changed radically. He was guiding trustees from the educational program Outward Bound down the nastiest rapid on the Grand Canyon’s Colorado River, when his split-second decisions saved a boatload of people from a whitewater disaster. A grateful and financially astute client returned the favor by guiding Phil Town into serious, successful investing using the first rule of investing as ascribed to by Warren Buffett: Don’t lose money. Within five years, Phil Town had built a borrowed $1,000 into $1.45 million and from there into millions more. Phil lives with his wife, Melissa, on a horse farm south of Atlanta, Georgia. Richard Dolan is Performance Coach and Advisor with a passion for performance and obsession with results. Richard leads The Global Performance Project codifying athletes’ approach to generating wins and championships. He also is the director of The Sport of Performance an initiative teaching executives, entrepreneurs and start ups how to approach life like a game. Richard was gifted two championship rings back-to-back for playing the role of performance advisor to Juwan Howard of the Miami Heat in 2012 and 2013. Richard maintains offices in New York, Toronto and Miami empowering iconic brands, legendary athletes, entrepreneurs and investors looking to live, lead and leave their LEGACY. Food for the mind and nourishment for the soul! Team Building and Client Hosting at its Very Best! Because You Deserve the Very Best – a day to Laugh, Learn and Celebrate the Human Spirit! Terrific event, I am so glad I came! Loved it. Drove from Ottawa, All worth it! I would come back again. Awesome!!! Thank you! Great Event! Loved It.